Check out what the physical PS4 edition of Paragon nets you. Epic Games has released a physical retail version of Paragon for the PlayStation 4. 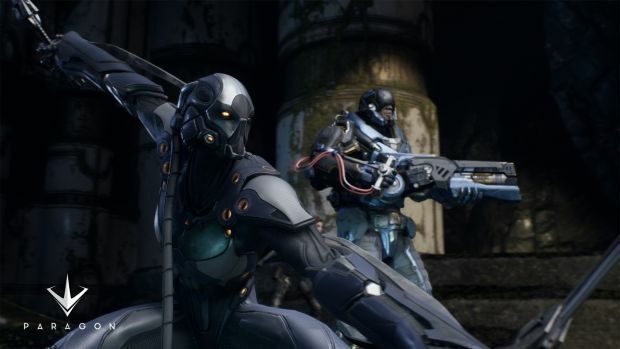 The Paragon Essentials Edition costs $59.99 and includes quite the content. Check out the trailer below to learn more. As per Epic, the Essentials Edition includes instant early access to the beta and an exclusive Twinblast skin; 6,000 Paragon coins worth $60 for purchasing skins, boosts, Master Challenges and other unannounced content; five Hero Master Challenges for five heroes which grant you a Challenger skin and permanent XP boosts along with taunts and Master skins; Master Challenges for Twinblast, Riktor, GRIM.exe, Iggy & Scorch, Sevarog and Twinblast; four additional skins – War Chief Grux, Energized Dekker, Autumn Fire Sparrow and Bronze Warden Riktor – along with Wasteland Twinblast, the launch-exclusive skin; and five rep boosts which can be spent on card packs and Master Challenges (each lasting for three wins).lenges and more. The Paragon Essentials Edition can be acquired from participating retailers at GameStop, Best Buy, Amazon, Target and Walmart. Thoughts on the overall value? Let us know below.